Stellar Lumens is a Ripple-based cryptocurrency (created in 2014) that was designed for quick, extremely inexpensive transactions. It’s a trustless system that gives users the ability to send money across countries and currencies inexpensively and instantly. Like OmiseGo, Stellar Lumens aims to provide the whole world with inexpensive, decentralized financial services. Every user of the Stellar Lumens network will benefit from this, but users living in poverty-stricken and underbanked regions will benefit the most. The fact that Stellar is open source and geared toward developers also supports their mission as a sort of “people’s coin”. There are over 7 billion XLM tokens currently in circulation with a total of 103,432,382,849 XLM coins that can ever be mined. This may point toward some difficulty in raising the value of the individual tokens. Generally, coins with lower supply caps have an easier time gaining in value. However, if Stellar can manage to seat itself as the most usable coin for its purpose, the large supply of coins may not be such a hinderance. The fact that Stellar is taking steps to form a good relationship with the developers’ community is a good sign that it is well-positioned to be adopted for wider use as a currency for everyday transactions. For the first three years of its life, Stellar Lumens hovered between $0.02 and $0.04. Then, in May of this year, it saw a sharp increase–at its height, a single XLM token was worth just over $0.06. It has since fallen to around $0.02, but is likely to keep growing. To use the Stellar Lumens network, you must create an account. You make a deposit on the network in your country’s currency, which is then credited to your account in the form of XLM tokens. When you withdraw from Stellar Lumens (using an “anchor”), your money is converted back into your currency (or the currency of whomever you sent your XLM to). “Anchors” on the Stellar network are entities “that people trust to hold their deposits and issue credits into the Stellar network for those deposits”. In other words, anchors can be banks, farmers’ coops, or other mobile money operators that can issue credits, accept deposits, and can process withdrawals. In order to qualify as an anchor, an entity must fit certain legal criteria. Anchors on the Stellar Lumens “act as a bridge between existing currencies and the Stellar network”. As a user of Stellar, you can go to a Stellar anchor and withdraw money into the “real world”. Stellar is a “platform that connects banks, payment systems, and people”. The Stellar platform can be used to send money across the globe in seconds, for literally a fraction of a fraction of a cent (0.00001 XLM). By comparison, the average Bitcoin transaction fee has recently risen to over $8. The fees are among the lowest in the world of cryptocurrency. Other than the tiny transaction fee, there are no other fees associated with using Stellar’s network. 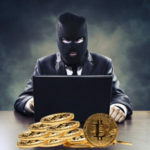 The fee serves the purpose of preventing malicious users from “spamming” the network with hundreds or thousands of fake transactions (this is called a “Denial of Service”, or DoS, attack). Essentially, DoS attacks “clog up” the blockchain, preventing regular users from accessing the network and causing a host of problems, including failed transactions. 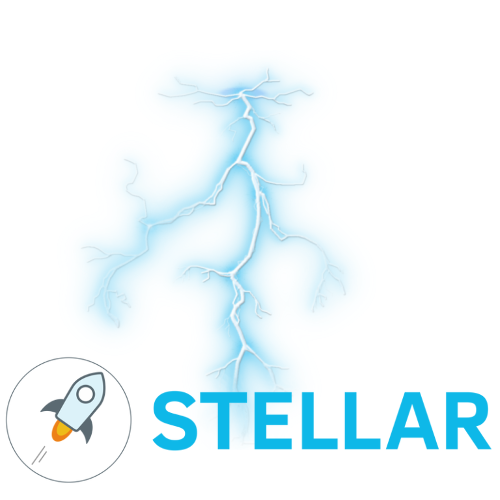 In order to be a user of the Stellar transactional network, you must hold a minimum of 20 XLM, which amounts to a little less than $0.30. This ensures that each of the accounts on the network is authentic, which also prevents fake transactions and DoS attacks from happening. Stellar’s low fees and lightning-fast transaction times make it a good candidate for micropayments, although other coins, like IOTA may be able to achieve this even more efficiently. However, since IOTA was designed more for m2m (machine-to-machine use), Stellar Lumens may be the best “human-use” equivalent. Stellar also seems to be committed to serving the interests of its individual users rather than larger corporate entities (banks, for example). Interestingly, Stellar has made moves to make anchor partnerships in Nigeria. Many in the technological world view Nigeria as the land of hackers and online scammers, but the Stellar Lumens team sees the untapped potential of the creativity that lays in the Nigerian “cypherpunk” community. There are cryptocurrencies, like Ethereum and Lisk, that were created as protocols upon which to build applications. The coins behind these digital currencies serve the purpose of being a sort of “digital cash”. Stellar does both of these things. On its website, Stellar also offers tools and tutorials for developers who are interested in integrating Stellar into applications, online (or offline) shops, or other projects as a means of payment. This year, Stellar Lumens announced a “build challenge” with awards in the millions of dollars; there are four categories: Anchors, Applications, Exchanges, and first-time submissions. Stellar Lumens is available on major exchanges, including Poloniex, Bittrex, Kraken, BTC38, Bitcoin Indonesia, Yuanbao, RippleFox, Exrates, and its Stellar Decentralized Exchange. It can, of course, be bought on its own network (after you make an account). XLM can be stored in the Centaurus, Saza, StellarTerm, Ecliptic, Luuun, Lobstr, Stellar Portal, Stargazer, and Willet wallets. Stellar Lumens was created by Jed McCaleb, who, incidentally, also happens to be the creator of the Ripple cryptocurrency and the founder of the now-defunct Mt. Gox exchange. McCaleb moved away from the Ripple project as the rest of the Ripple team began pushing the project in a more centralized direction–Ripple’s team has decided to keep rather tight control over when and how many XRP tokens are distributed in the network. Therefore, Stellar is much more decentralized than its mother coin. While there aren’t really any “crypto celebrities” involved in the Stellar Lumens project, Stellar has managed to attract the interest of some notable people in the online world. Stellar’s advisors include Matt Mullenweg, founder of WordPress; Naval Ravikant, founder of AngelList; and Patrick Collison, founder and CEO of Stripe. The Stellar Lumens development team includes data scientists, developers, and designers from all over the world. Notably, they are one of the only crypto organizations that has more than one or two women and people of non-European descent on their team. They also have an impressive list of corporate donors that includes Google.org, BlackRock, and FastForward. Stellar Lumens has a wonderful vision, and a solid team to back it up. Stellar really seems to understand that in order to be truly successful, they must leave no stone unturned; the Stellar community is very inclusive. In the world of traditional investments, the people being marketed toward the most are often the wealthiest people in a given society. Stellar is different–its targeted base seems to be people on the lowest ends of the economic scale. This is wise. This is a rich market that is mostly untapped in the world of financial services, and could bring many benefits for users and investors alike. That being said, it’s unclear whether or not Stellar Lumens will manage to reach its goals. While it’s a company (and coin) that certainly has a lot going for it, it won’t be until we see wide adoption that we can know for sure that it’s able to fulfill the goals that it’s set for itself.